Welcome to Evergreen Turf, the premier Phoenix sod supplier. We offer a wide selection of sod varieties perfectly suited for Arizona's climate along with the latest information on how to install and maintain your lawn on a monthly schedule. Evergreen Turf produces only the finest turfgrass varieties. We harvest your sod from our local farms when you order; ensuring that the freshest and best quality grass arrives at your home. Our sod varieties are all non-allergenic, durable, and attractive. When winter arrives, all of our varieties except Palmetto St. Augustine are compatible with winter lawn over-seeding, so you can have a beautiful, green lawn all year round. Evergreen Turf was established in April of 1999 by Jeff Nettleton and Jimmy Fox as a small, friendly, locally-owned and -operated sod farm. The goal was to provide homeowners and landscape contractors with an elite, golf-quality product. 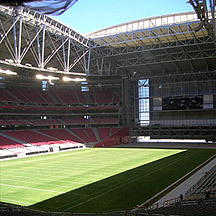 Since then, Evergreen Turf has become the major sod provider not just for homeowners and landscapers, but for Arizona's demanding golf courses and sports facilities, including the Arizona Cardinals Stadium. Celebration Bermudagrass is a type of Bermuda grass bred by respected Australian turfgrass breeder and greenkeeper, Rod Riley. Riley worked on its development for more than ten years. The end result was an extremely durable type of sod. 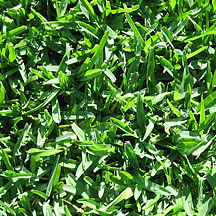 Celebration Bermudagrass is fast growing and tough, making it widely popular and useful for sports fields. Celebration Bermudagrass's extremely dark, bluish color puts it in a class all by itself. It has the unique combination of rapid lateral growth and slower vertical growth. Celebration recovers quickly from wear, but still requires 30-50% less mowing than other types of sod. Celebration's excellent sod strength means easier handling and better looking installations. It can be mowed with a sharp rotary mower or a reel mower. Midiron is a type of Bermuda grass commonly used for parks, schools and other high-traffic areas. This grass is the most widely used sod in Arizona because it is the best overall adapted grass for lawns in the desert valleys. 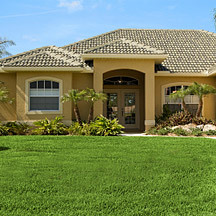 Midiron is an attractive, low maintenance turf, making it an excellent choice for general-purpose homeowner use. 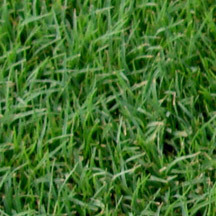 It has medium coarse leaf texture with a blue-green color and transitions extremely well from winter overseeding. Midiron can be mowed with a reel mower or a sharp rotary mower. 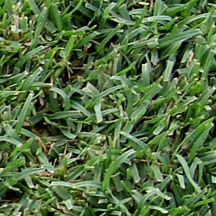 Tifway 419 is the most popular type of Bermuda grass used on professional sports fields and golf courses. 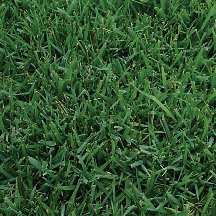 It is used more than any other sod variety because of its extraordinary durability and its dark green, medium fine texture. In Phoenix, sod of this nature is a popular choice because it is dense with a medium to low growth habit. Tifway is a sod variety that establishes quickly at planting and is a vigorous grower. Tifway 419 is a great choice for home lawns, sports fields, and golf fairways. It can be mowed with a sharp rotary motor, or a reel mower can be used for a more manicured look. Tifway 419 tolerates close mowing and is highly disease resistant. Tifgreen 328 has a very fine texture and a bright green color. This variety was originally developed for use on golf course greens and is your best choice if you prefer a highly manicured appearance. Tifgreen 328 is still used on some golf greens, but it also makes and excellent choice for fairways and home lawns. It can be mowed with a sharp rotary mower; however, we recommend a reel mower for best results. 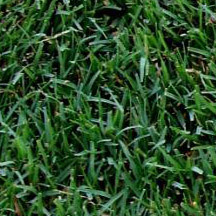 Tifgreen 328 is a hybrid Bermuda grass best suited for warm seasons and climates. It is highly resistant to diseases and overseeds well in the fall. This type of sod can handle reclaimed irrigation water and holds up well with high-traffic and even drought. Palmetto has a coarse texture with a soft leaf and makes a stunning bright green turf. It is a semi-dwarf St. Augustine grass and is our best performing sod in shady conditions. Palmetto also thrives in full sunlight and is the most heat-tolerant of all St. Augustine cultivars. Palmetto sod should not be over-seeded in the winter and should be mowed with a sharp rotary mower. Palmetto St. Augustine thrives in hot desert areas, making it a popular Phoenix sod choice for residential and commercial use. It demonstrates superior tolerance to shade, cold, frost, heat, and drought. 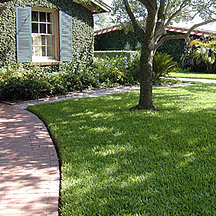 As a result, this type of sod is widely used across the southern United States from South Carolina to California. 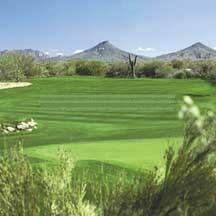 Evergreen Turf is dedicated to providing its customers with the highest quality of sod Phoenix has to offer. Our friendly, knowledgeable people are committed to answering all of our customers' questions to ensure a stress-free experience with their new Arizona sod lawn. Whether you wish to sod a small play area for the family or an entire golf course, Evergreen Turf can help you make it happen. If you're looking for the best in service and sod product, do it right the first time. Choose Evergreen Turf. Browse our website for the answers to your sod questions or give us a call if you don't find what you are looking for. Better yet, stop by and meet the team at our convenient Chandler location.